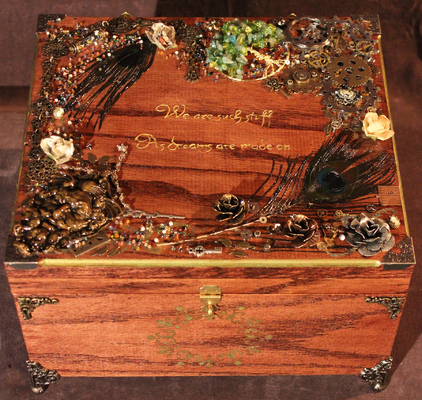 This dream inspired treasure box was handmade by Helen Tewksbury. 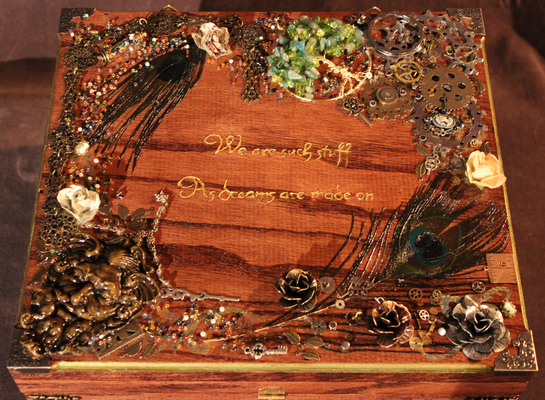 It is built from red oak and encrusted with handmade and antique pieces which depict the physical manifestation of dreams. 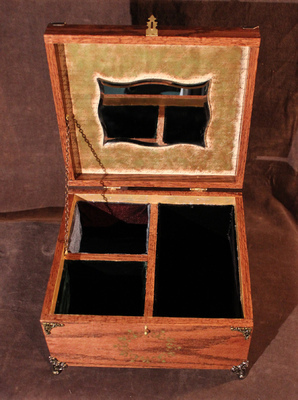 It is inscribed with Shakespeare’s famous quote from The Tempest “We are such stuff as dreams are made on.” The inside has three separate compartments lined with velvet for storing your personal treasures and dreams. 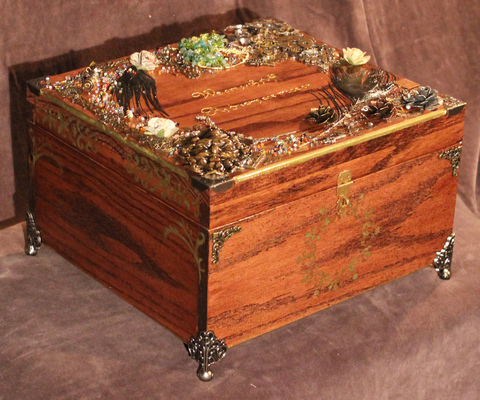 Sold at auction for $500 to benifit The Shakespeare Theatre of New Jersey.